TBudgeting may seem like a daunting task that is more hassle than it’s worth. You may feel like you have a good enough grasp on your finances, that a budget doesn’t seem necessary. But the truth is that everyone, even millionaires, can benefit from a budget. 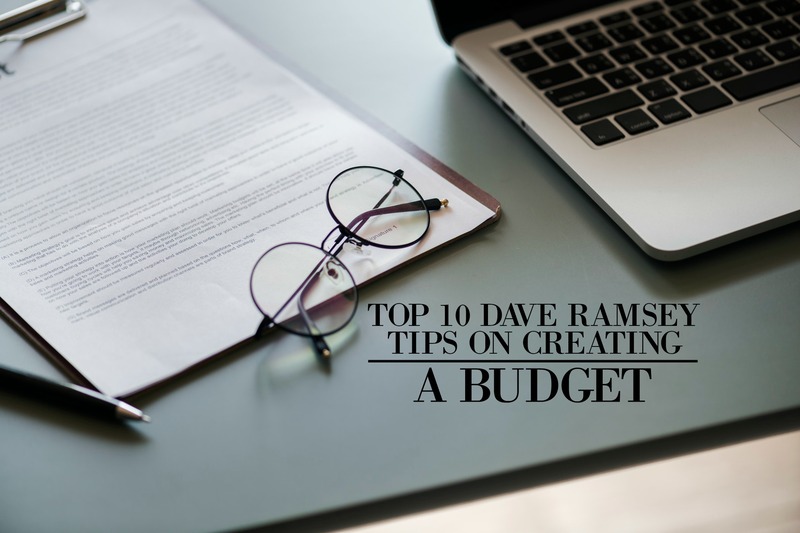 So whether you’re wanting to save more or get out of debt, these Dave Ramsey budgeting tips will definitely help you out. You may think that clearing your debt should be a priority, but before you can even begin to do that, you must consider absolute essentials like housing, transportation, groceries, and health. Write a list of what is important in your life so that you can get a better handle on where to budget your money. Once you have a budget set for the month, stick to it and work with it and not around it. Plan your meals and price shop before you head out to the store and buy generic whenever possible. Only after all of your essentials are paid off should you consider paying off your debt. This is a vital step in improving your future budgeting abilities. When you have debt, you are paying interest on money that you’ve already spent. Before you start planning vacations or large purchases like a car you want to clear your debt completely (and make sure you actually have the money in the bank to do those things). PS – One of the best ways to pay off debt is by using Dave Ramsey’s Debt Snowball Method. Dave Ramsey recommends cutting up your credit cards as quickly as you can so that you’re not tempted to use them (and building on more debt). Keeping your cards around will tempt you to continue to use them. Clear your debt and vow to never go back. Write down your total income. Subtract expenses from income to equal zero. Using the EveryDollar budget tool allows you to easily keep diligent track of your income and spending. This app makes it even easier to stay on top of your money. The primary reason why people rack up so much debt is due to living beyond their means. If you see your friends and colleagues with the latest iPhone, you may want one too, but is it in your budget? While it may seem like a good idea that will make you happy in the short-term, buying things that do not fit into your budget will lead to debt that will be hard to get out of. This may seem like a silly idea but working in cash instead of electronic money makes saving and budgeting more tangible and easier. It is much harder to part with cash than it is to swipe a debit or credit card at a cash register. Label envelops for each category of your budget and only use the money in each envelope for its designated purpose. If you’re having trouble making ends meet even with your budget, you should consider a side income. Dave Ramsey suggests using your skills to incorporate another income into your budget. Spend a few hours a week mowing lawns or shoveling driveways or consider an at-home position like transcribing or product reviewing. The extra income can help pad your budget and get you out of debt. Budgets are flexible. Each month may bring a slightly different income and some months you may be invited to dinner or another event. So start putting a small amount away throughout the month so that when these things happen, you’re prepared. It may seem overwhelming to set up a budget.Perhaps you think you don’t make enough money to budget or you think you have a good enough grip on your finances that a budget is unnecessary. But the truth is, a budget can benefit people at any income level and it is a great way to understand where your money is going so that you can better allocate your finances in the future.